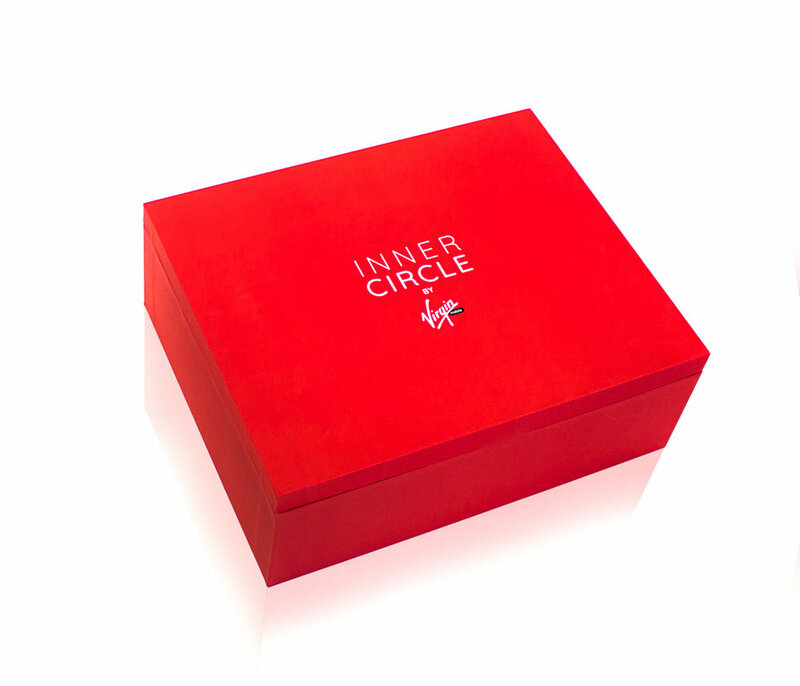 For the launch of Virgin Mobile's new plan, Inner Circle, I designed a box for influencers that were attending the launch party. The box contained gifts for the influencer that ties in with our partnerships with other Virgin companies. A bath bomb was included to represent Virgin Hotels, a decanter for Virgin Wines and headphone splitters for Virgin America. The lid features video content created for the Inner Circle, which includes full length online videos and social videos.